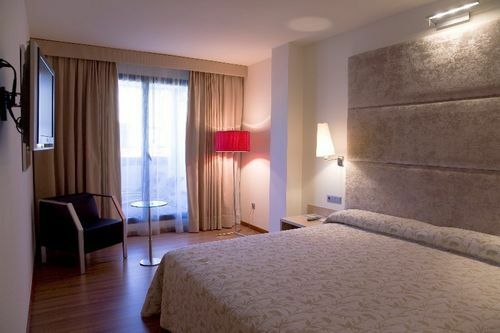 Abba Centrum Alicante Alacant, Hotel Spain. Limited Time Offer! 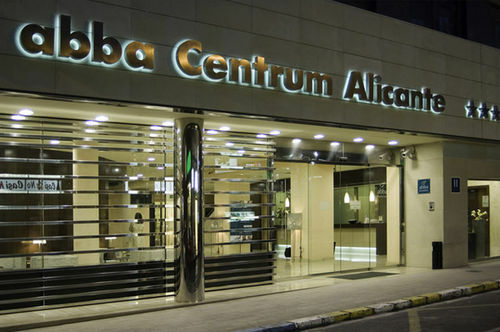 The Abba Centrum boasts an ideal central location in Alicante's commercial and entertainment district, just a few minutes from the beaches and train stations. 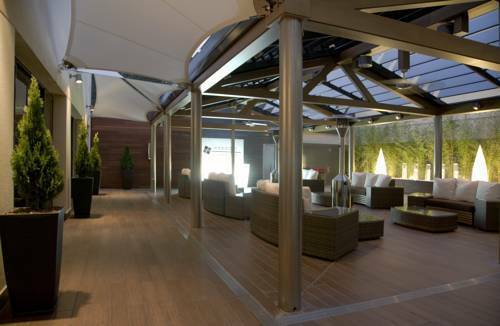 Excellece is also prized in the hotel's service, decor, cuisine and in all of the little details that make the difference. You are sure to enjoy a lovely stay and fully enjoy all that the city has to offer.The spacious and well-lit rooms are cosy and feature hardwood flooring. 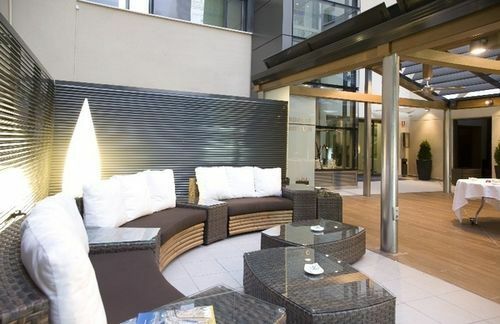 All feature air-conditioning, high-speed Internet, a plasma television with Canal+, a sitting area and a complete bathroom. 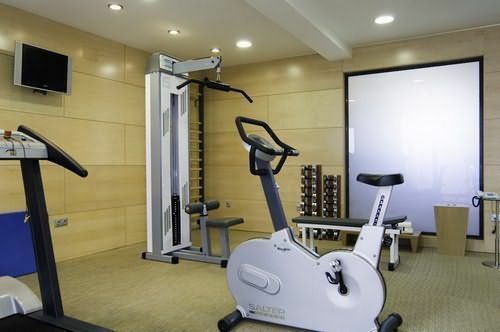 The hotel's leisure facilities are comprised of a gym, a steam room and a Turkish bath. Treat yourself to a tasty and healthy Mediterranean meal; the rice and fish are exceptional. 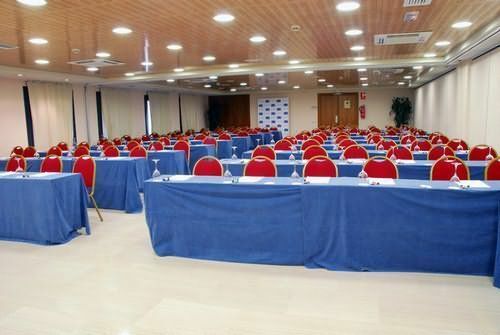 On site meeting rooms are also available.Step out of the Abba Centrum and head straight to the shopping streets in the centre of Alicante, the marina and the beaches. Make sure you visit the Santa Barbara Castle, the central market and the Esplanade. 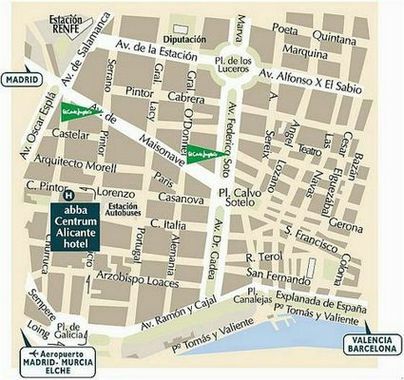 The main bus station and train station are just a few short steps from the hotel. + You could clearly see the recent refurbishment, by far the best three star hotel we have stayed in, been in many worse four star hotels! great position with easy access to the fantastic barrio with allRead more the bars and restaurants you could hope to find. The hotel staff were helpful and friendly and we got exactly the room we requested in the booking. 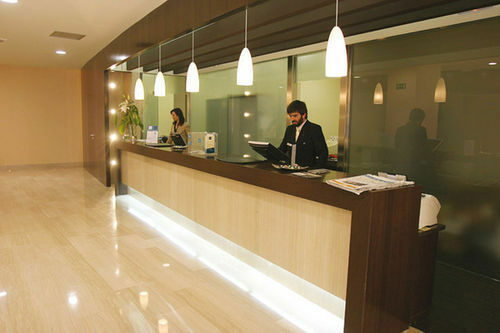 + The staff at the hotel and the hotel in general was absolutely excellent. 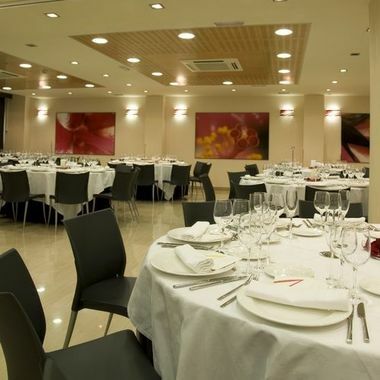 - The breakfast and dinner are quite expensive and not particularly good for the price they charge. - The only thing I would suggest would be for the beds to be more fixed to the floor. The floors were lovely and shiny but slided a bit. So when there was movement in the bed, the bed moved too. Not a big problem, just a bit annoying. - Twin beds issue wasn't made clear to us.